Global has formally completed its deal to buy out-of-home company. 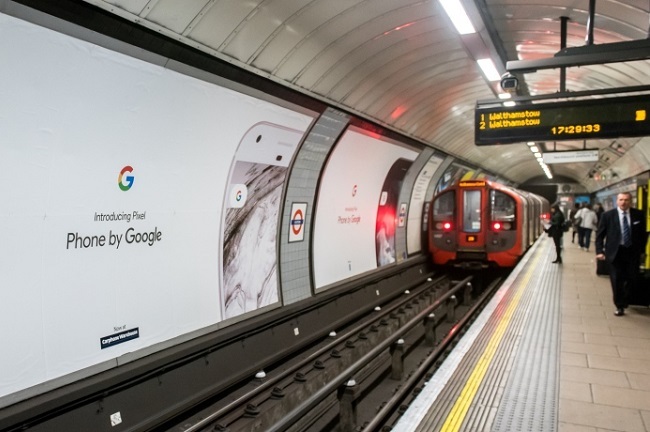 Radio giant Global has completed its acquisition of Exterion Media, which holds the London Underground advertising contract, but the two companies will operate separately for now as competiton authorities consider a review. Global last month made a binding offer to buy Exterion Media, which has an estimated 22% share of the OOH market in the UK. The acquisition followed hot on the heels of Global’s purchase of Primesight and Outdoor Plus in an estimated near-£30m double deal in September, giving the radio group a combined share of 32% in OOH. That makes it a strong number two to France’s JCDecaux, the world’s biggest ad group, which has about 36% share in the UK. Global did not disclose the price it paid to Exterion Media's private equity owner, Platinum, but observers suggest it spent upwards of £450m.. The deals bring the UK OOH market from six main players down to four, taking into consideration Clear Channel and Ocean Outdoor. Global said in a statement: "As expected, the Competition and Markets Authority has concurrently announced a 'hold separate', or an Initial Enforcement Order. "This is standard practice for completed mergers over which the CMA have jurisdiction and Global has been proactive regarding its engagement with the Authority. "Consistent with the terms of the IEO, Global and Exterion will continue to operate as totally separate businesses pending the completion of the CMA’s review." A spokesperson for the CMA said the acquisition was currently under review, but has yet to decide whether a formal investigation – known as a Phase 1 examination – would go ahead.